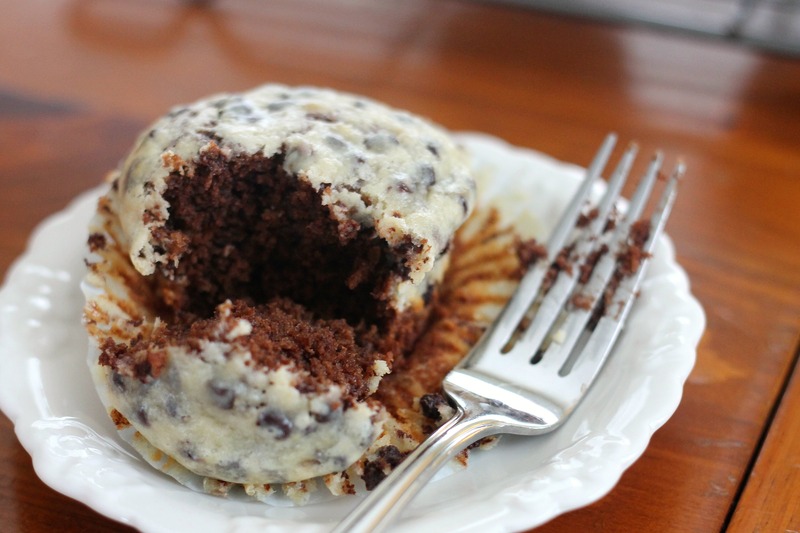 Have you ever had a black bottom muffin/cupcake? It’s basically a chocolate cake base with a cream cheese cheesecake-like topping and it is definitely a decadent treat. 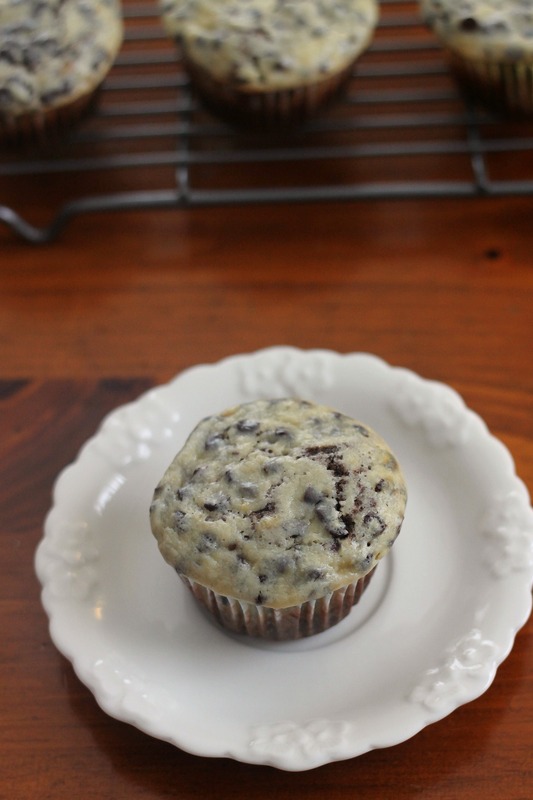 These have some redeeming nutritional value since they have three bananas and we used low-fat cream cheese, but do not be fooled- even though these are acceptable for breakfast (probably), they’re not health food. Our suggestion is to not use extremely overripe bananas, which impart a lot of flavor, since a milder banana flavor is best here. We’ve been trying to do a little bit more healthier cooking and baking, which is certainly a challenge when the weather is crazy! We did pretty well this weekend and ate mostly vegetarian- we made kale and potato cakes on top of a salad with pickled apples as well as eggplant Parmesan burgers that were very good (although we did make these grilled cheeses, which were pretty decadent, but we did use low fat cream cheese). Regardless, I cannot remember a colder winter where we live-in the past couple weeks the temperatures in the morning have been occasionally been -1 and 0, and we’ve received many inches of snow. Obviously this is nothing compared with the weather in the Midwest, but it’s still really cold, and cold weather practically forces us into baking something. Today the temperatures are supposed to be in the single digits as well. I like cold weather, but I am ready for spring! 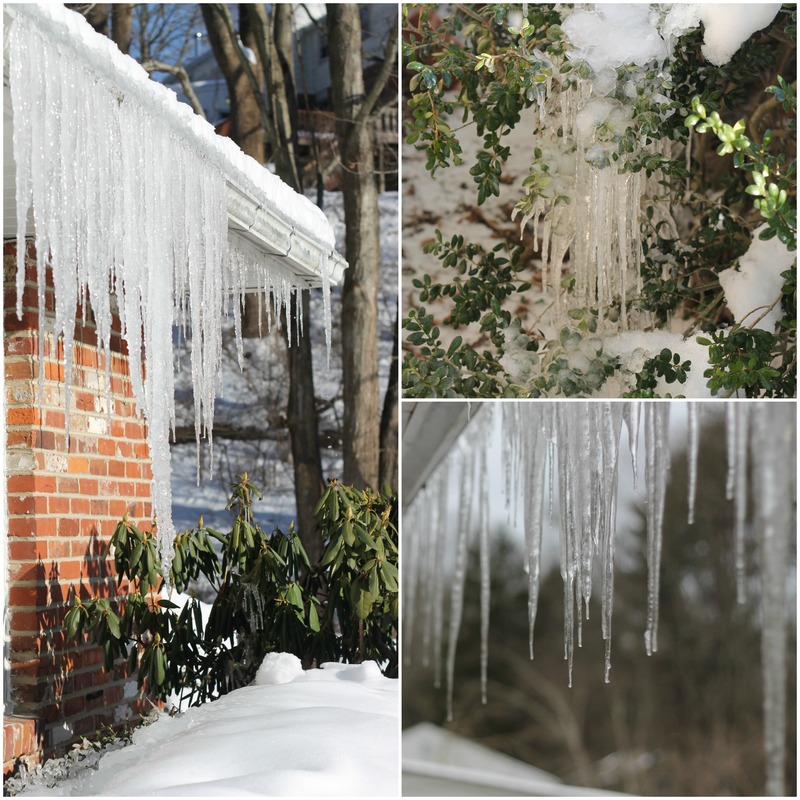 The one benefit is the artistic arrangement of icicles that have formed on our house and on bushes. Too bad our little brother knocked off most of them yesterday. Preheat oven to 350 degrees. Beat together cream cheese and sugar until fluffy and lump-free. Beat in banana, egg, and vanilla until combined. Stir in chocolate chips. In a separate bowl, whisk together flour, cocoa powder, sugar, baking soda, and salt. Stir in bananas, oil, and vanilla. Line 18 cups in muffin pans with liners. Divide chocolate batter between the pans, and then top with the cream cheese mixture. Bake for about 20-30 minutes until cooked through. These are best served at room temperature, but you should refrigerate leftovers. Enjoy!